Want to check out a ton of delicious home brewed beer from locals around Vancouver? Last year I attended and there were certainly some wonderful and very complex beers available. One of a kind beers from one of a kind people! Good stuff!. This is a local word-of-mouth event, so tickets are limited. 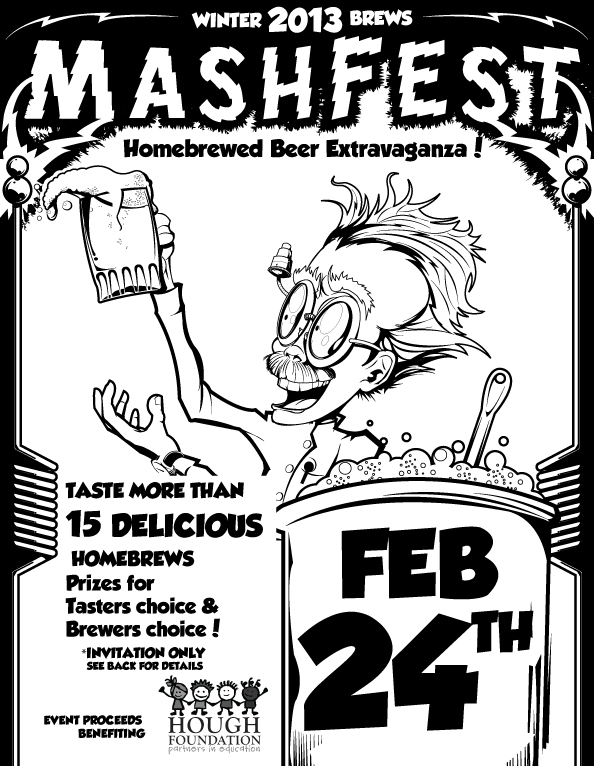 What is Mashfest? It is a small scale, not-for-profit homebrewed beer tasting festival. It is not open to the general public, but by invitation only. The "invitation only" part is a Washington State Liquor Control rule. Who invites people? The homebrewers who bring their beer and the organizing committee, and a general word-of-mouth thing here at Bader Beer and Wine Supply and Mint Tea. It is a 4 hour event, where we have had between 15 to 17 brewers bring some of their homemade beer to serve in 1.5 ounce "tastes" to those who have been invited, and have bought a $15 ticket in advance. After paying for any expenses, the organizing committee donates the balance to a local charity, with Share House and the Hough Foundation each receiving $500 donations from the most recent Mashfest events. We have 2 Mashfest festivals a year, one in late Winter/early Spring and one in the late Summer. hosting fee is required to attend. No minors allowed. Proceeds from this event will go to the Hough Foundation. I wonder if Davey would come back if we don't win the WS in 2013..